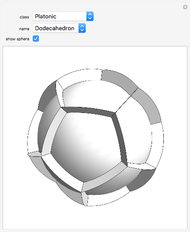 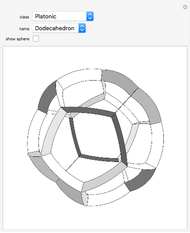 This Demonstration shows spherical models of polyhedra. 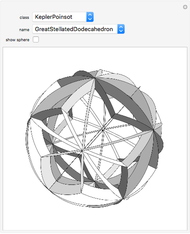 The sides of a polyhedron are projected out to an enclosing sphere and the resulting arcs are stretched radially. M. J. Wenninger, Spherical Models, New York: Dover Publications, 1999. Izidor Hafner "Spherical Models of Polyhedra"